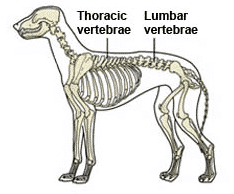 There are numerous ways in which a dog can be injured in or around the critical spinal area, whether neck region or back regions such as Thoracic or Lumbar. And, many injury types can end up being more debilitating than others. Depending on severity, some will cause much greater recovery problems or timing. 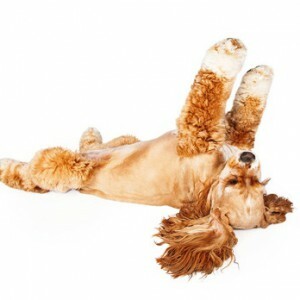 Back/spinal problems in dogs can easily cause a paralysis issue which, of course, is one of the more devastating artifacts of spinal problems, and can likely extend recovery times for dogs with either spinal injury or spinal disease/degradation issues. Different degrees of paralysis may or may not be involved – based on the degree of pain, discomfort and inflammatory response involved and how much disability may be the result. Such factors relate to the degree of pinching or pressure placed on nerves, etc. No matter the injury type, there will always be some amount of pain and inflammation involved, and likely soft-tissue damage. There is also the possibility or likelihood of disc damage (herniated, etc), and maybe even bone (vertebrae) damage which can contribute to the disabling effects on the pet. 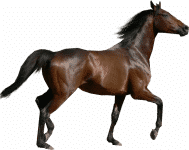 Regardless of the type or extent of the injury, veterinarians generally prefer the use of Steroids or other pharmaceuticals to address immediate concerns for pain and immobility. While the use of steroids or NSAID’s may initially have a positive effect on lowering inflammation, the potential for side effects is well documented. And, where significant damage or IVDD degradation may be involved, the assessment is likely to lead to recommendation for surgery options for attempted repair of the damage. Unfortunately, most people do not have the financial resources for the surgical options, leaving them at a loss for what to do. At the same time, vet recommendations do not address any increased nutritional needs (or deficiencies) for the ‘recovery challenged’ body of the dog in question. Actually, it is likely rare for your local medical professional to even consider the chance for any ‘natural recovery’ for the dog. The surgery option is sure to be touted as the only choice, as there is little hope for a normal life otherwise. Yet, optimism for a good outcome from surgery – even if it can be afforded – is not good; about a 50-50 chance at best. The good news is…nearly 2 decades of helping people with such issues has shown us that there is generally a 90% chance that a good outcome can result from the very simple NUTRITIONAL boost provided by daily doses of either NZYMES® product shown below. The basics of this are rather simple: the body has FAR more capabilities in the realm of “restore and repair” than the medical world cares to give credit for. All you need do…is provide the body with the RESOURCES it needs to accomplish the work it is inherently capable of! Recovery from paralysis and back problems in dogs has become a regular daily event around here. Our first visual proof of this came to us in early 2007, with the video provided by the owner of LILLY. Below, we’ll provide you with a link to see ALL our recovery videos. It’s gratifying to see a dog say goodbye to a wheelchair, even if it was a good aid in initial recovery weeks. 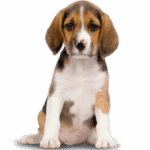 Therefore, it is in your best interest to see how much recovery your pet might be capable of, with NZYMES® in the daily diet, before even considering expensive surgery. Open this next little BOX to read the comments of a pet-parent. I send you this message to let you know how truly grateful I am for your product. My dachshund “Lady Bird” suffered from a herniated disc that caused her to loose function in her back legs. I was heart broken because when she first showed signs I was unaware as to why. I took her to the vet and he gave me the heart-breaking news. She was on steroids for 7 days which helped the swelling and pain but the damage was done. I did not want to put her through back surgery so I began looking on the INTERNET for other solutions such as a doggie-wheel-chair and came across your website. THANK GOD!! We did make her the doggie-wheel-chair, which she used for only about 2 weeks. And I also I ordered N’zymes for her! She started her first dose on 08/20/2012. Now, on 09/08/2012, she is walking and even running!! She still has some issues with balance but the difference N’zymes has made is truly a miracle in my eyes! I can’t express my happiness and my eyes are filled with tears at this moment because of the change it has made for my precious Lady Bird. I wished I had video-recorded her progress like Lilly’s story because it is truly a miracle what the N’zymes has done for her. Again THANK YOU for such a wonderful product. Jennifer N. of San Antonio, Texas. They say “A picture is worth a thousand words”; what then, must a video be worth (30 pictures per second)? Better yet, a video is most often indisputable evidence. That being said, do yourself a favor and CLICK HERE to see our selection of NZYMES recovery videos – mostly related to back problems and paralysis. What is Canine Hip Dysplasia? What can you do about it?